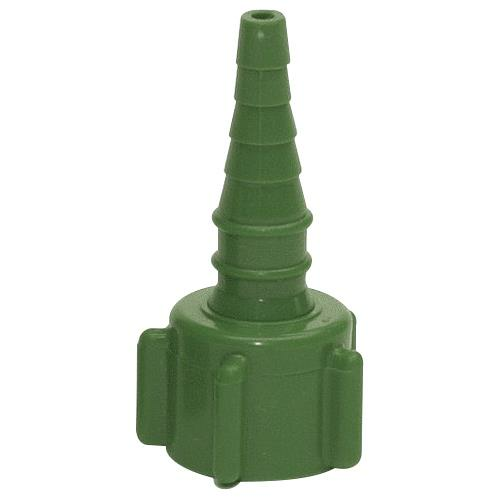 Allied Oxygen Nut And Stem Adapter allows small oxygen tubing to connect easily to standard oxygen flowmeters, cylinders and related products. It is latex-free. Shipping offer $4.99 is applicable for purchase of only 1 quantity. Do you have yellow nut and stem adapters? if so please send ordering information. Hello, Are the Allied Nut and stem adapters for oxygen labeled as reusable or single patient use? As per the manufacturer, in reference to part 65401, they do not label them as either reusable or single patient use. Most customers generally reuse the Allied Oxygen Adapter. Can these be reusable after being cleaned? ....or do they have to be thrown away after one person use?